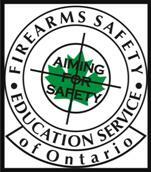 Canadian Firearms Safety Courses are scheduled once a month. Class size is limited to twelve students per instructor to ensure that you get the attention and hands on practice you need to master firearms safety and pass the tests, in keeping with the standards set by the Firearms Safety Education Service of Ontario. I usually teach the CFSC and CRFSC over one weekend with the assistance of another instructor to classes of up to 24 students in the Ottawa area. 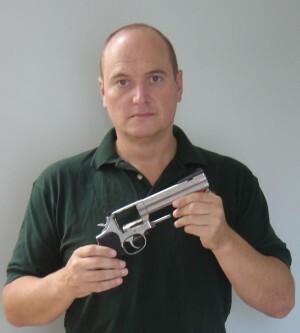 Dave is also the founder and owner of www.FirearmsTraining.ca and the content developer for www.GunExams.com. Dave Bartlett (Instructor #ON-0965), also taught the Canadian Defensive Pistol Shield course, and the International Practical Shooting Confederation "Black Badge" course for competitive action pistol shooters and the Canadian Shooting Sports Association Handgun Safety Course, and has acted as a senior official at various National and Provincial shooting competitions. He is also trained by the Universal Shooting Academy as a Practical Pistol Instructor and by the Remington Shooting School in shotgunning. Dave has also trained with World Champions Ben Stoeger and Robert Vogel. His competitive accomplishments include winning IPSC Ontario and Quebec provincial championships in Production Division and the Ontario Provincial IDPA championship. Dave also offers action pistol shooting clinics for those who are looking for more personalized instruction in the fine points of action pistol shooting, when his schedule permits. My next available CFSC/CFRSC is in Russell on April 27/28. Clicking the When? link below will take you to the full 2019 course schedule. I send out notices with detailed instructions on how to sign up for a course when registration opens (about one month before the course date). My courses usually sell out within a few hours, so subscribing to my mailing list is the best way to be informed of upcoming courses. A seat on a course is not confirmed until payment in full is received. The Chief Firearms Office has decreed that effective Friday July 17, 2015 minors can only take the Canadian Restricted Firearms Safety Course (CRFSC) for "educational purposes". They will not be allowed to write/take the written and practical exams for the CRFSC.